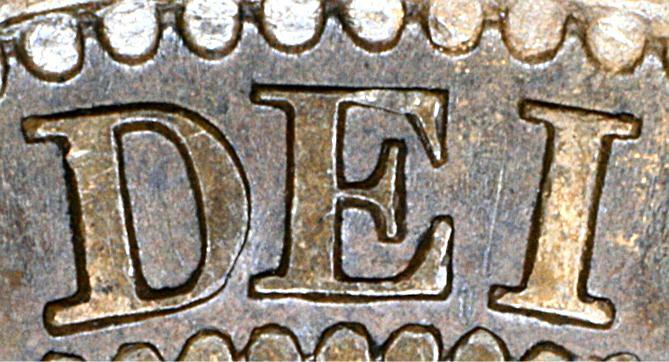 One of three known "Bridge Dies" which struck both 1859/8 and Narrow 9 cents. 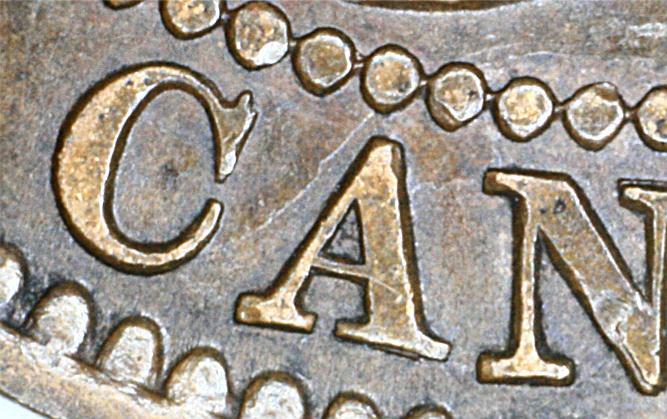 This die was used first on 1859/8 Cents, then with the E1 narrow 9 reverse. Turner called this die OI1 in his books. A vine loop clash mark runs between the C and A and up over the N of CANADA. 5. 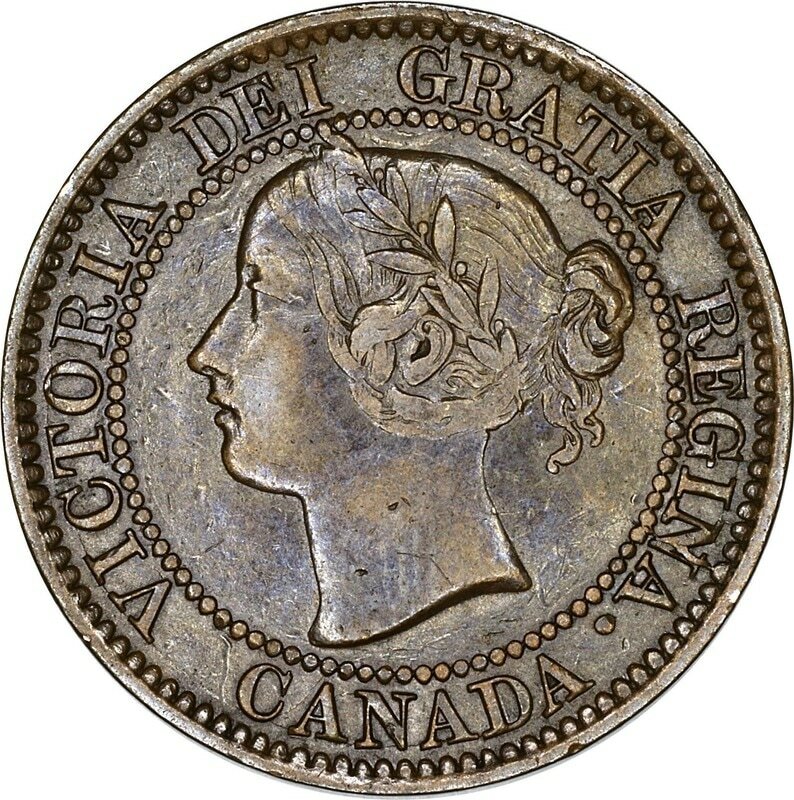 Full-Side Photo for Obverse I1.